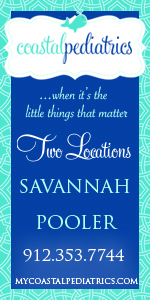 Ohhh we are so excited about Scribble Art Studio’s new winter 2013 Savannah & Pooler classes. 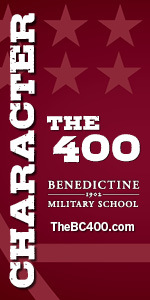 Check out the classes in detail here. 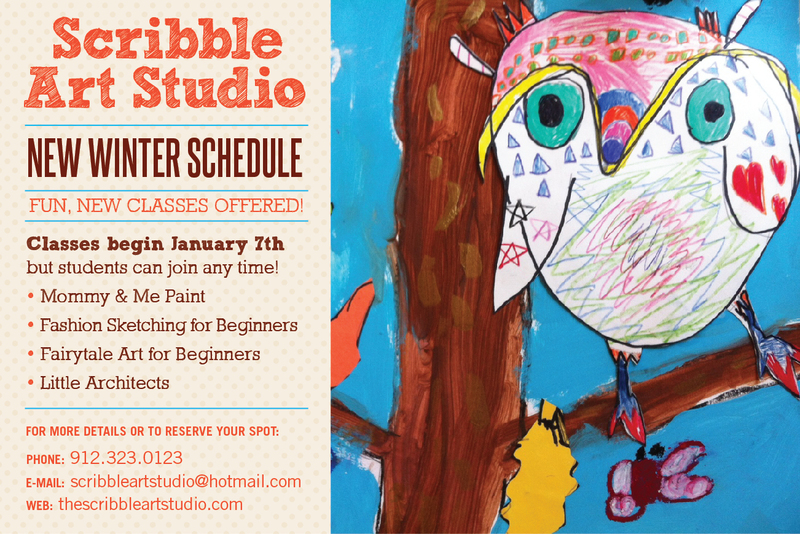 To learn more about Scribble’s art classes for kids, call 912-323-0123 or email ScribbleArtStudio@hotmail.com . 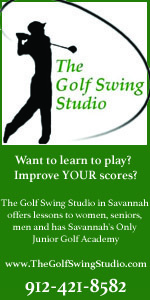 Scribble Art Studio in Savannah & Pooler also offers private & group art classes, adult art parties. For gifts, Scribble as art kits & gift certificates . For more information, contact artist Carrie Christian at 912-323-0123 or email ScribbleArtStudio@hotmail.com . Click here for more info. Scribble Art Studio is a SouthernMamas.com advertiser. 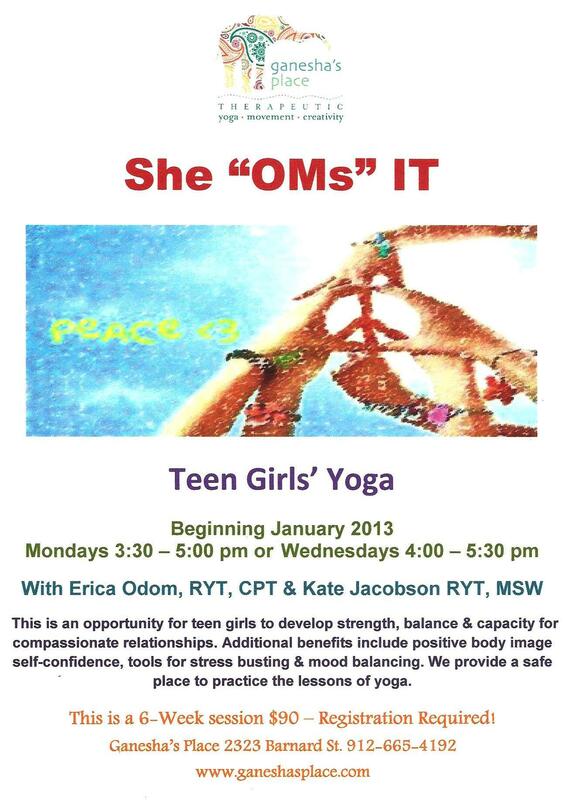 Check out the upcoming teens’ yoga classes at Ganesha’s Place, Savannah’s new therapeutic yoga studio. Enrollment will be limited, so please enroll early. Ganesha’s Place offers a variety of therapeutic classes including yoga for special needs kids, children with autism & restorative yoga for caretakers. What we love about Ganesha’s Place is that it’s a spot to explore, heal and have fun. Ganesha’s can be a place for the whole family: you’re not required to be athletic or wear special outfits. Yoga therapy at Ganesha’s regulates and improves the balance between health and wellness without the intimidating images of body contortions and “pretzels”. 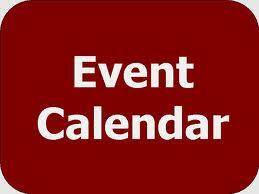 Keep up with Ganesha’s Place on Facebook here. 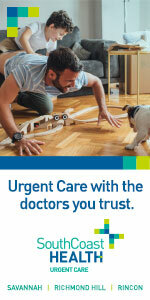 Practice your reading skills with one of our registered therapy dogs. 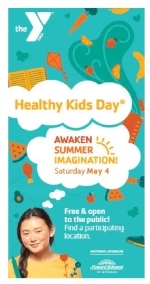 Readers, ages 5 and up. Always check with the branch for schedule changes. More details here. 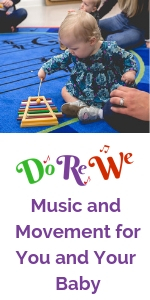 Oglethorpe Mall Library, 925-5432, Saturday, March 9, 12 p.m.
Southwest Chatham Library, 925-8305 Saturday, March 9, 12 p.m. Saturday, March 23, 12 p.m.
Pooler Library, 748-0471 Monday, Feb. 25 4:30 Monday, March 18, 4:30 p.m.
Islands Library, 897-6233 Wednesdays, 3:30 p.m. 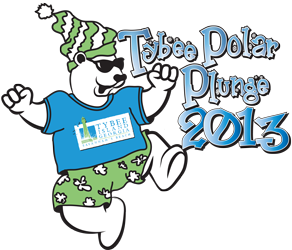 The Tybee Polar Plunge returns to Tybee Island on Tuesday, January 1, 2013! Join thousands of people and take the plunge into the brisk Atlantic Ocean at 12:00 noon on New Year’s Day. 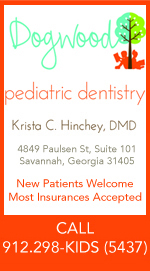 It’s a great way for the ENTIRE FAMILY to start off the New Year! 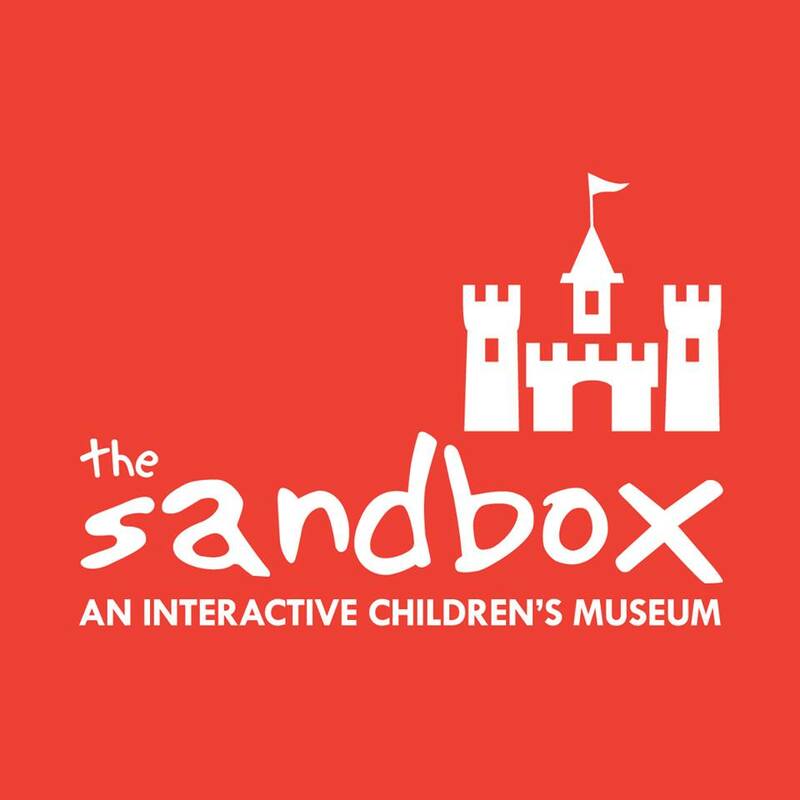 COST: $25.00 Sign up to be a Tybee Post Theater member and SAVE! Member price is only $22.50. Online registration is no longer available. Please see below for registering in person. You can register for the Polar Plunge or the Gang of Goofs contest in person at the Tybrisa Roundabout on Saturday, December 29, Sunday, December 30 and Monday, December 31st from 12pm – 3pm or on Tuesday, January 1 from 9am – 11:30am at the Tybee Island Pier and Pavilion (deadline to register for the Gang of Goofs contest on January 1st is 10:30am). Oh Baby! Fitness has the following Savannah classes starting in January. 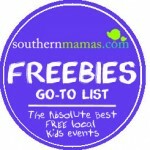 Save 10% off full session by using discount code: SOUTHERNMAMAS when you register online at www.ohbabyfitness.com. Register at www.ohbabyfitness.com Use discount code: SOUTHERNMAMAS to save 10% off. Oh Baby! Fitness gives new and expectant moms a place to find support, make friends, get fit and bond with their babies. Oh Baby! Fitness programs allow Mom to get out of the house, get her body back in shape and spend time with baby. 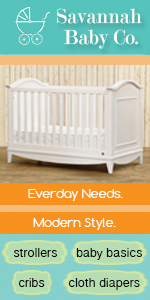 To see what moms are saying about Oh Baby! Fitness programs, click here. Stroller Strong Moms Savannah (where moms get fit & kids have fun) is going to have a Get Fit for 2013 Challenge that starts Wed. January 16 2013! The Get Fit for 2013 Challenge is a 10 week program where moms do a fitness assesment and body fat analysis at the beginning and end of the program. Newcomers are welcome! 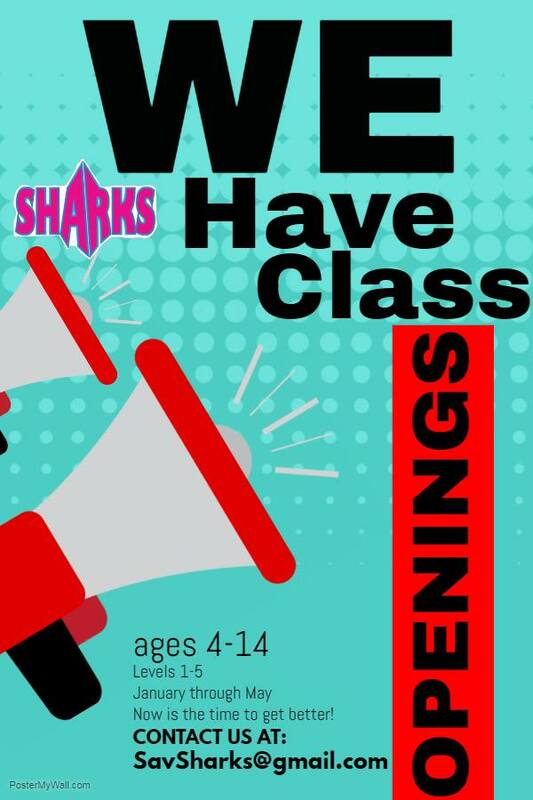 You will earn points throughout the program with class attendance, weekly MVP and improvement in assessments over the 10 weeks. 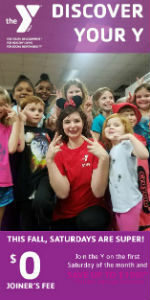 To learn about this fun program in detail, click here. 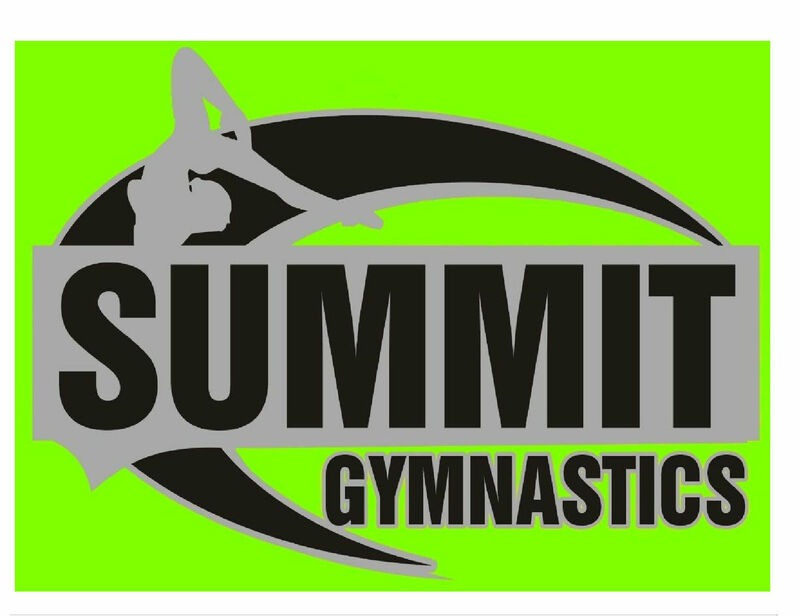 Sign up before the new year for a discounted fee! Stroller Strong Moms offers a unique and challenging workout that’s constantly on the move. It uses the entire Forsyth Park in Savannah during class. Each fitness class will provide new and different walking/running routes and exercises in order to maximize fitness results and prevent boredom. 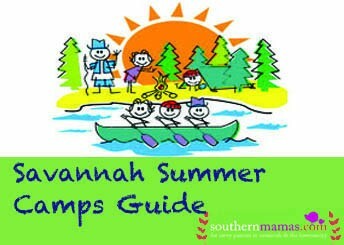 For schedule & price info on Savannah classes, visit www.strollerstrongmoms.com & click savannah class. First class is free. All exercises are introduced with multiple levels of difficulty so that moms of all fitness levels are able to workout together. 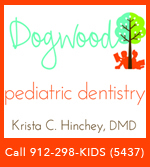 Each class is designed so that your child has fun too. “Like” Stroller Strong Moms Savannah page on Facebook here to stay updated. Stroller Strong Moms, 12 East Park Ave. Savannah, 31401, email info@strollerstrongmoms.com , www.strollerstrongmoms.com Stroller Strong Moms is a SouthernMamas.com advertiser. sara jane children’s boutique in Savannah is having a HUGE season finale event, meaning amazing savings on some pretty darn cute stuff. Hurry on in though, with savings up to 65% off this stuff won’t last long! 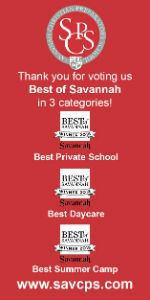 sara jane children’s boutique, 202 East 37th St., Savannah, Ga. 31401, 912-234-5266, email sarajanekids@comcast.net, http://sarajane.myshopify.com/ Sara Jane Children’s Boutique is a SouthernMamas.com advertiser. 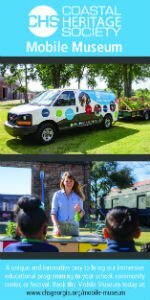 Savannah Baby Co. is MOVING! Savannah Baby Co joining hands with Sherry’s Designer Furniture and Outlet & now will be located at 541 E Liberty St in downtown Savannah! Savannah Baby Co.’s old location at 5301 Paulsen St will be closing Saturday and Savannah Baby Co. will re-open next Wednesday Jan 2, 2013 at a yet-to-be-announced downtown Savannah location. 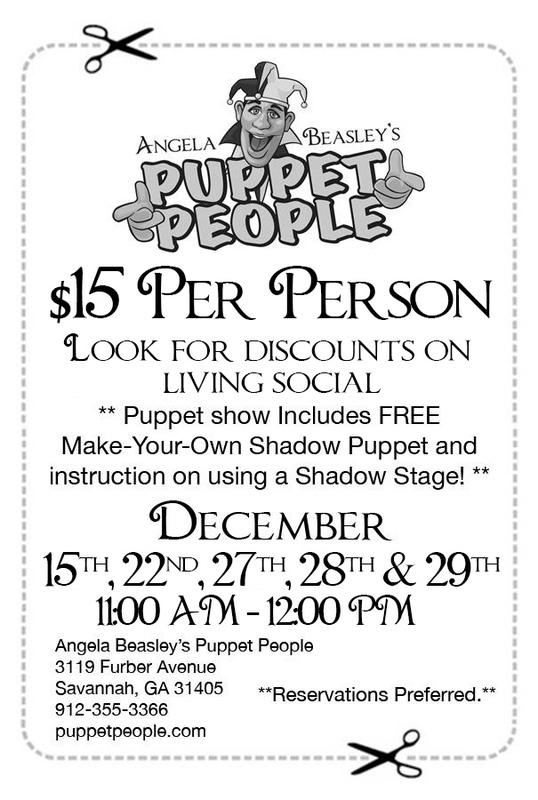 Come out to see “Friends” at The Puppet People this December & save on tickets via Puppet People’s Living Social Deal.. Only $7.00 per person with the Living Social discount. Click here for the discount. 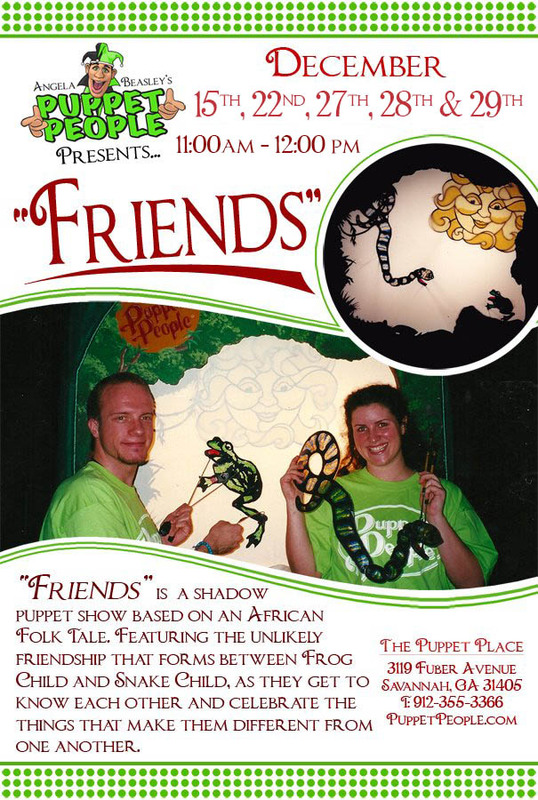 “Friends” is a shadow puppet show based on an African Folk Tale. Featuring the unlikely friendship that forms between Frog Child and Snake Child, as they get to know each other and celebrate the things that make them different from one another. With Living Social: $7.00 per ticket. Click here for the discount. Angela Beasley’s Puppet People “The Puppet Place” in Thunderbolt, 3119 Furber Avenue, Savannah, GA 31405, 912-355-3366, http://puppetpeople.com. The Puppet Place is also an ideal spot to host children’s birthday parties! Puppet People is a SouthernMamas.com advertiser. 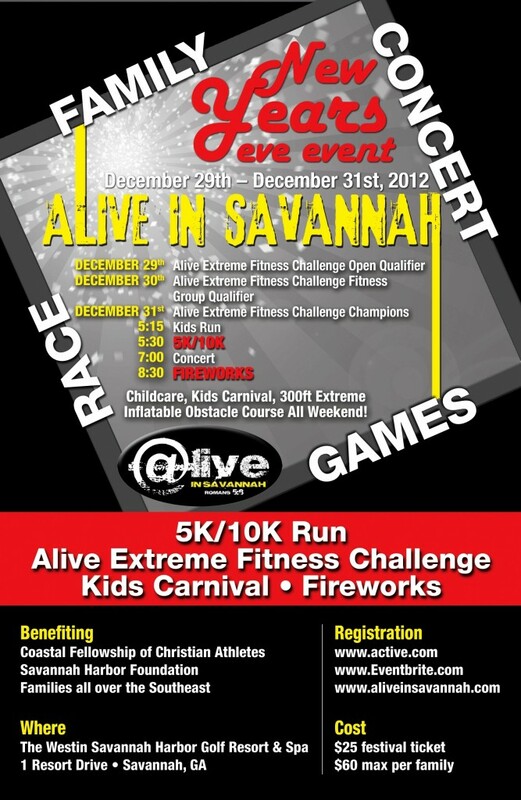 Celebrate the end of the year with the entire family in a healthy way at this great family-friendly three-day New Year’s event: Alive in Savannah 2012. 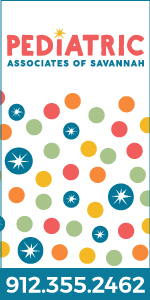 This popular annual celebration takes place Dec. 29-Dec. 31 2012 at the Westin Savannah Harbor Golf Resort & Spa’s race track. 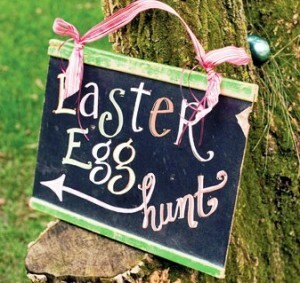 There will also music, kids’ fun run & fireworks. Other competitions include 5K, 10K, Extreme Fitness Challenge & more. 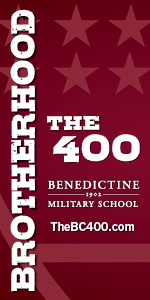 On-site childcare provided for competitors. 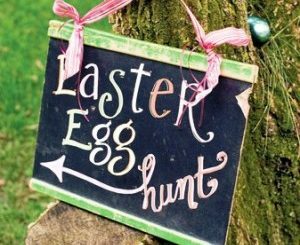 Forgo the pricey babysitter and crowded bars for this fit, family event. 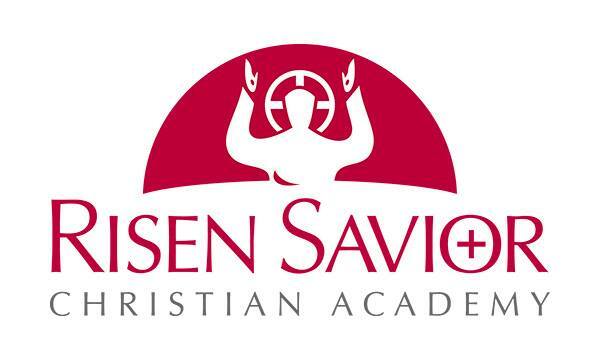 Stay connected by “liking” Alive in Savannah on Facebook here. Alive in Savannah @ Westin Savannah, www.aliveinsavannah.com/ , Alive in Savannah is a SouthernMamas.com advertiser. 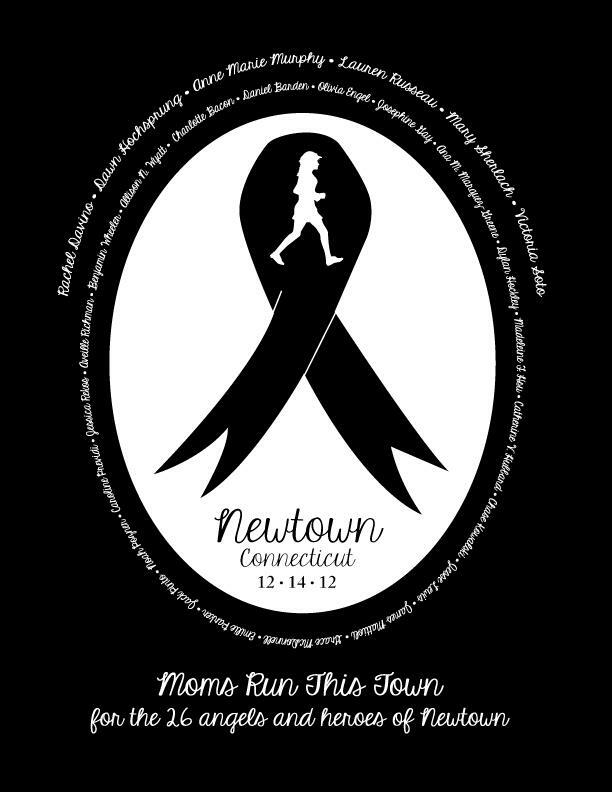 We love this: a running group in Savannah called Savannah Moms RUN This Town (savannahmrtt.co ) made up of moms who love to run are taking action in the wake of the mass shooting in Newtown, Conn. The group designed shirts to sell as a memorial to those who have lost their lives. ALL proceeds are going straight to the relief efforts of the community and families in Newtown. As women and mothers, members of Savannah Moms RUN This Town were deeply affected by the shooting. Their main chapter leader actually grew up in Newtown..
Black cotton shirts, with a white screen printed design on the front pocket area and back. Each shirt costs $20, and ALL proceeds are going straight to the relief efforts of the community and families in Newtown. To order, click here. 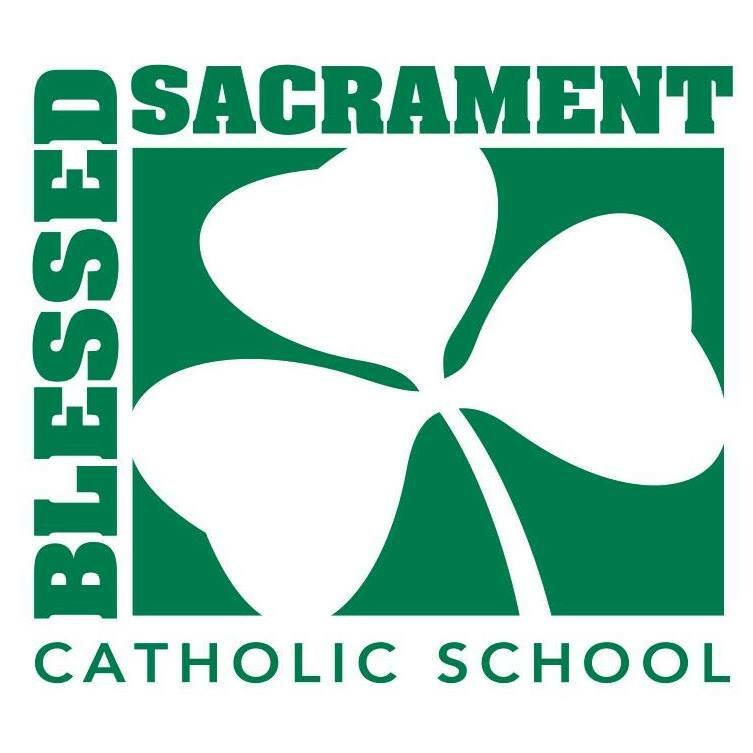 Last day to order is Dec. 27! Give the gift of Fine Art Photography this year. 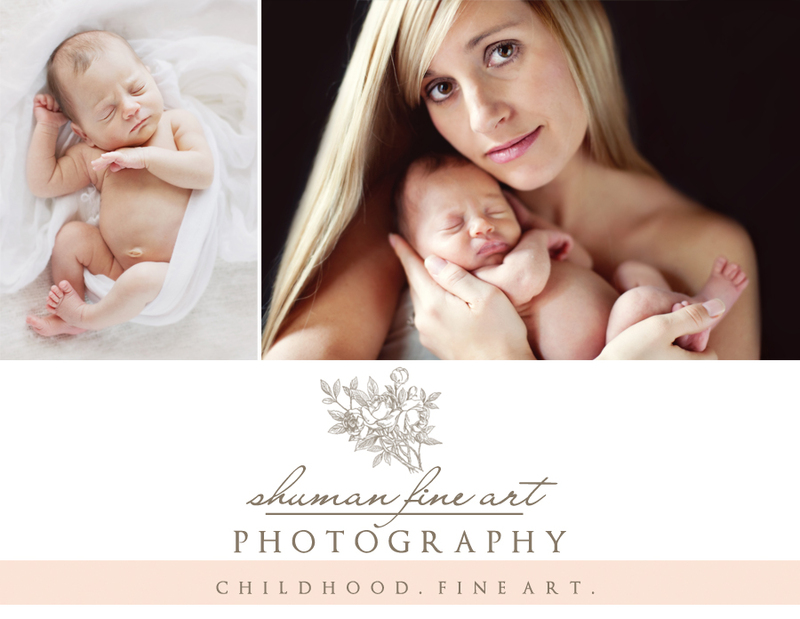 In the spirit of the Christmas season, Shuman Fine Art Photography is bringing back their popular holiday bundle! You must call the studio to book before the deadline deal, December 31st before 5pm. 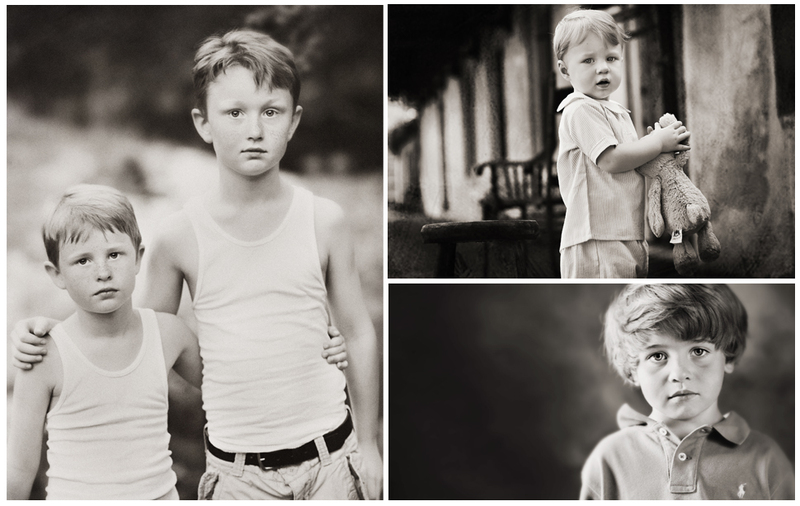 Call the Shuman Fine Art Photography studio (912.826.4447) to schedule and submit your session fee. Session must be held on an available between January 1st and March 31st. See Shuman Fine Art Photography professional work also here: www.shumanfineartphotography.com For more information, email Jillane Tucker at jillanes@shumanphoto.com or call 912.826.4447. Savannah Baby Co. is having a BOGO SALE! They’re trying to make room for new brands. ALL Clothes and Shoes (Livie & Luca excluded) are BUY 1, GET 1 FREE until the end of the year. Shop away. 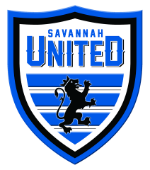 Savannah Baby Co. has a good stock on shoes and this also includes Under Armour gear! Need Last Minute Gifts or Fresh, Local food for your Holiday Feast? The Savannah Food Co-op will be open to the public for shopping hours on Thursday, Dec. 20th from 2-6pm. Non-members are welcome to check out the co-op’s holiday bounty. You don’t have to be a member of the co-op. The Savannah Food Co-op will have a little of everything from toys, gift bags, and handmade soaps to produce, dairy and dry goods. Stop by to say hello and see why the co-op’s members love to ‘shop the co-op’! Savannah Food Co-op is centrally located at the corner of Waters Ave & E 59th St, tucked right behind Savannah Tire in a cream colored warehouse. Look for the wheat logo sign, it’s visible from Waters Ave. 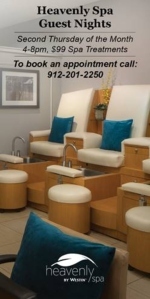 The address is 1106 E. 59th St, 31404 (right across from Columbus Ave). Savannah Food Co-op, http://savannahfoodcoop.com/, email managers@savannahfoodcoop.com , Savannah Food Co-Op is a SouthernMamas.com advertiser. Help Savannah Baby Co in their efforts to provide love and cheer to the students of Sandy Hook Elementary. So get creative and craft away! Snowflakes can be dropped off at Savannah Baby Co. and they’ll mail them all. 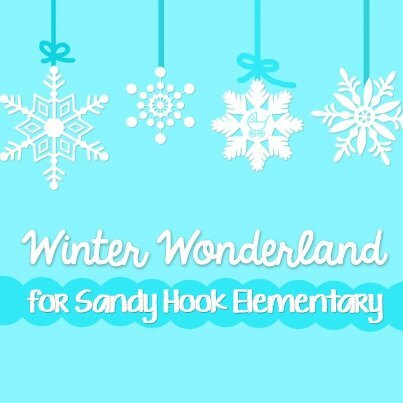 If they gather 500 snowflakes, Savannah Baby Co will also make a donation to Savannah Chatham CASA in honor of the victims.